Despite the ‘Love your Orchestras’ tagline it is hard to imagine a more unloved fixture in the Irish music calendar than the RTÉ NSO’s ‘Music of Our Time’ concerts at the National Concert Hall. Devoted to contemporary music, these concerts have traditionally taken place on a Tuesday lunchtime and are a rebranded version of the Horizons series which dates back to the early 2000s. Exactly how they have managed to survive in the era of slash-and-burn arts budgets is something of a mystery particularly when one considers the attendance at last Tuesday’s concert (9 October 2018). This turned out to be one of those disheartening occasions when the members of the orchestra outnumbered the audience. A quick count of the people in the hall while the first piece was being introduced resulted in a tally of seventy, exactly the same amount as the musicians on stage as an additional count subsequently revealed. Unfortunately however, when conductor Gavin Moloney appeared on the podium, he tipped the balance back in favour of the orchestra. Most musicians will at some point in their career experience the rather depressing situation where audience turnout is so poor that the ensemble exceeds the audience. But most don’t expect it to happen when they play in a national symphony orchestra and while I’m not a conductor, I imagine it’s hardly good for morale. Aodán Ó Dubhghaill, Head of RTÉ Orchestras, said yesterday at an Oireachtas committee meeting that morale within the orchestras is already low as a result of recent cuts. The reasons why these concerts have no audience are not difficult to fathom. The Tuesday lunchtime slot is a very inconvenient time for most except those who are retired, unemployed or happen to work nearby, though the office workers in the law and accountancy firms in the vicinity of Earlsfort Terrace have so far declined to turn out in their droves to keep abreast of the latest developments in new music. The chance of attracting an audience to any event also requires a proper marketing strategy. It should be pointed out that the NSO’s Summer lunchtime concerts of light classical fare – which also take place on a Tuesday lunchtime – are always well-attended and indeed often sell-out. This is because they are relentlessly plugged on RTÉ Lyric FM and the programme is publicised well in advance. 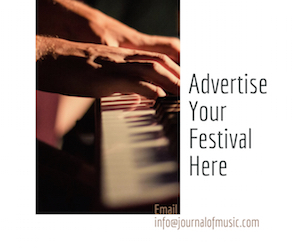 Of course, marketing a concert of contemporary music presents more challenges but there should be certain minimum expectations as far as advertising is concerned. 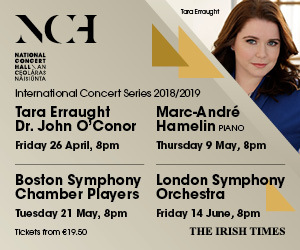 Yet Tuesday’s concert was not included in the RTÉ NSO season brochure for this year nor was it even listed in the NCH’s September–October booklet. Such a casual approach to marketing is indicative of an event that was put together at short notice without much thought put into audience development. This was not always the case. In the 2016–17 NSO brochure the two ‘Music of Our Time’ concerts scheduled for that season were given a full page each. Similarly, the Horizons series used to take place at a set time each year in January and the programme was always announced well beforehand. While audience numbers were never spectacular, they were at least several multiples of the musicians on stage. On Tuesday it was also noticeable that the NCH’s usual strategy of busing in groups of secondary school kids to soften the deserted look in the auditorium was not deployed. 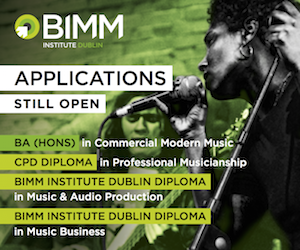 In an interview with the composer Raymond Deane published in the Journal of Music last week, I lamented the fact that as regards new music in Ireland, the problem is not that significant things don’t happen. Things do happen, it’s just that there’s no vision or desire to carry these initiatives to their full potential. While I recognise the financial difficulties that Ó Dubhghaill referred to yesterday at the Oireachtas meeting, the NSO’s relationship with contemporary orchestral music could be a very positive and productive one if curated properly. On the other hand, it is highly costly to assemble seventy professional musicians for a lunchtime concert, not to mention the several hours rehearsal time necessary to prepare for the performance. 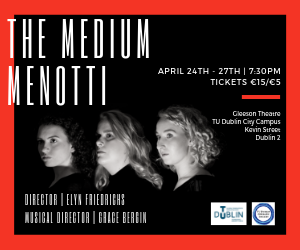 The box-office takings from Tuesday – €5 per ticket and free for students – would barely have made a dent in this expense and such extravagance must surely raise the occasional eyebrow in the accountancy division of RTÉ. I don’t want to sound like the populist radio commentator Ivan Yates, but this doesn’t perhaps represent the best allocation of public funds for the arts. So what could be done to give these concerts a sense of purpose? Well, here’s an idea. I mentioned earlier the presence of secondary-school students at these concerts accompanied by their music teachers. When the Australian composer Brett Dean conducted a concert last year there was probably a hundred or so teenagers in the audience. 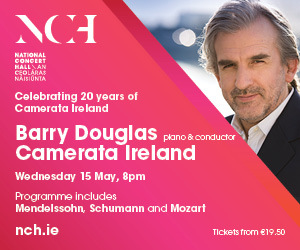 However, the NCH has capacity for 1200 people so why not make full use of this space, pack it out and host a free concert or series of concerts specifically designed as an introduction to contemporary music for secondary-school music students. This could feature a breakdown of a particular piece, a discussion of the instruments of the orchestra, and an interview with the composer. 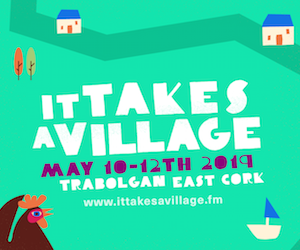 An event like this would be comparatively easy to organise and is exactly the kind of long-term planning that could contribute to ensuring healthy audience numbers for the future. Indeed, one of the composers featured in Tuesday’s concert – Brian Irvine – has considerable experience working with youth orchestras and would be an ideal candidate to front such an initiative. As regards the promotion of contemporary orchestral music amongst the broader public, this really needs to happen in the Friday night main season concerts where pieces are programmed alongside standard repertoire and performed to large audiences. 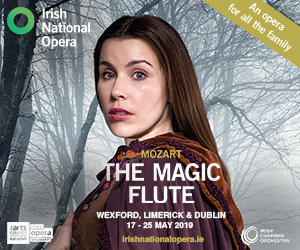 At the New Music Dublin ‘defrosted’ festival two weeks ago the NSO performed two stunning concertos for traditional instruments – the sheng and the uilleann pipes – by the South Korean composer Unsuk Chin and the South African-born Irish composer Kevin Volans. This is exactly the kind of contemporary repertoire that the regular patrons of the NSO should have the opportunity to hear and if performed on a regular basis there could be the real possibility of developing a serious audience for new work which is, of course, the life blood of any art form. 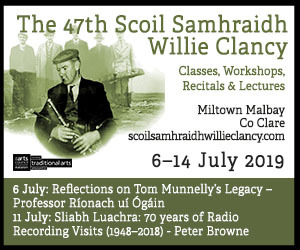 On the other hand, the ghettoisation of contemporary music, as demonstrated by these ‘Music of Our Time’ concerts in their current format, does more harm than good and only reinforces the idea that contemporary music is a fringe activity operating on the margins of our cultural life. Spanish conductor and flautist will take up role from September 2019.